For the first time in history, corporate managers face the challenge of managing four generations at once: the Matures, Baby Boomers, Generation X, and Generation Y (the Millennials). As Boomers get ready to retire en masse, their children offer a unique challenge to corporations, which need to change their workplace cultures, recruiting methods, and retention strategies or face a loss of billions in turnover. Managers need to help their organizations and employees adapt to the highly educated, technologically savvy, confident, and demanding Millennials. The Millennials, born between 1980 and 1999, do things differently than their Boomer parents and bring a fresh new perspective to the workplace. If corporations make the changes necessary to keep their Millennial hires, all generations will ultimately benefit. 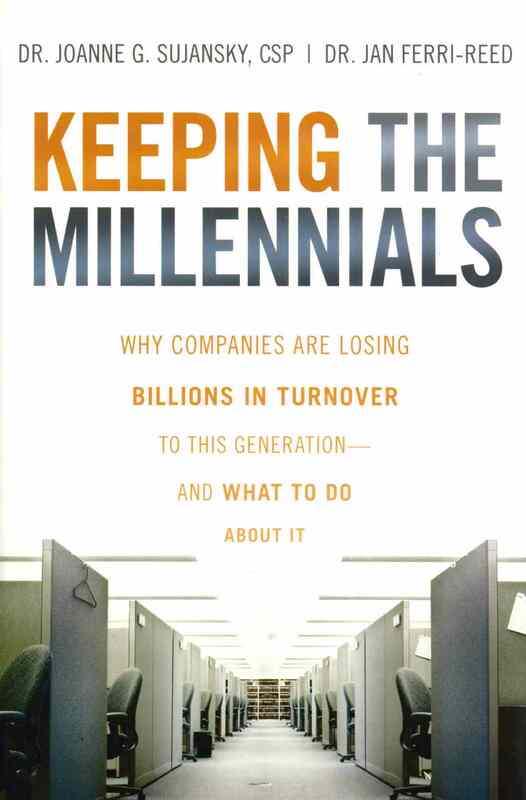 In Keeping the Millennials by Dr. Joanne G. Sujansky and Dr. Jan Ferri-Reed, corporate managers learn strategies to create a multi-generational workplace.